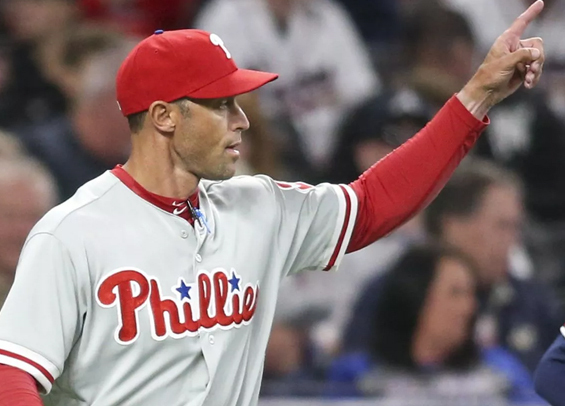 A scandalous report published by the Washington Post on Friday alleges Phillies skipper Gabe Kapler neglected to notify authorities after he was made aware of an assault on a 17-year-old girl during spring training while working with the Dodgers as director of player development. The victim was assaulted by two women while drinking at a party in a Dodgers minor leaguer’s spring training hotel room in Glendale, Az., according to the report. The incident occurred in 2015. Per the report, multiple people, including two Dodgers players, were in a hotel room and drinking alcohol. The 17-year-old became sick and vomited on a bed resulting in two other females physically assaulting her. The players recorded the incident and shared a video of the actions on Snapchat. Kapler received notice of the assault via an email from the victim and communicated with her grandmother, eventually offering to take the two to dinner along with the two Dodgers players that were involved in an attempt to talk things out. The dinner never came to fruition, and the girl was arrested for shoplifting days later. The alleged assault was then reported to the authorities by the girl's child safety case manager. The victim then told police officers that one of the Dodgers minor leaguers had sexually assaulted her while she was semi-conscious in the hotel room. The girl said she did not want to press charges and police ceased investigating the case once the girl evaded state custody. Kapler told the Post his actions were in line with the Dodgers internal policies and that he was never made aware of any sexual misconduct. The Phillies have not commented on the matter.